Dust off your best white suit. 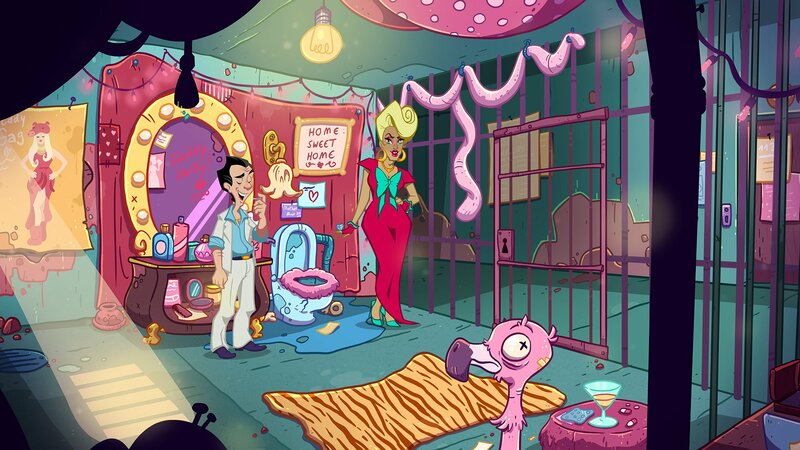 Everyone's favorite adorable and bumbling paramour Larry Laffer is back in Leisure Suit Larry: Wet Dreams Don't Dry (yes, that's a beautiful play on Swery's D4) and you can expect his latest adventure to land this November. Assemble Entertainment broke the news today, along with a special contest that's going on in celebration of Larry's jump from the '80s into the 21st century. Let's just say he's got a lot of catching up to do. 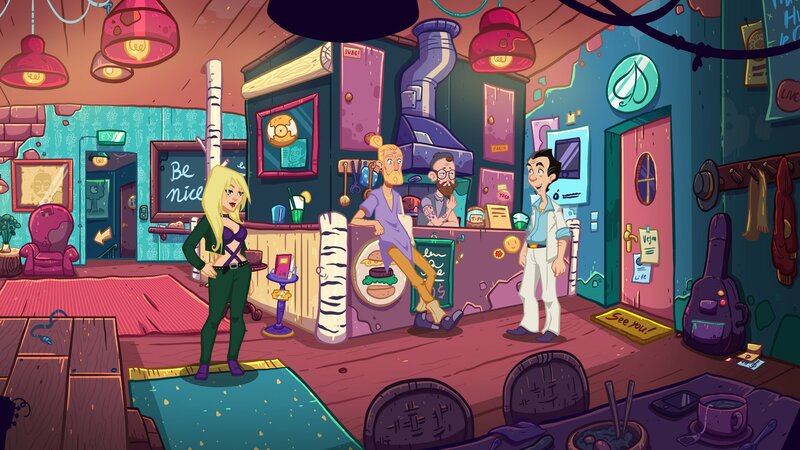 The new point-and-click adventure game finds Larry exploring a hand-drawn set of venues where he uses "Timber," the in-game dating app, to date various women and help interface with various puzzles around the world. Along the way he's got to figure out how to finally date Faith, the woman he's been dreaming of for so long. I'm sure there'll be plenty of fun double entendres along the way as well. If you're excited for the upcoming entry in the Leisure Suit Larry series, you might want to take part in the special contest Assemble Entertainment is holding: a $999 prize for the best Larry Laffer impersonation you can come up with. Using the #ShowUsYourLarry hashtag, you can dress up in a white suit, Photoshop one onto your body, and post to Instagram, Twitter, and Facebook. The company is giving away ten copies of the game as well as the special monetary prize. It's going on until 11:59 p.m. ET, so if you're interested, better hop on it soon! I'll get this and play it. Someone here has to take the bullet. it seems so dated, like real dated. Beating you to it. I'm going to be getting all up in it next week at PAX West. I'm so excited I could explode.